Once only a strange and futuristic concept featured in science fiction, virtual reality is now a part of our lives, and it’s no longer just for video games, either. Many top companies are now using virtual reality as part of their content-marketing strategy in order to connect with their target audience in a whole new way. Virtual reality can expand content marketing, allowing companies to engage with users as never before. Check out the following three ways brands are currently using VR for some ideas on how your company might simlarly utilize VR in the near future. Shoppers can try before they buy. Before VR, pretty much the only thing you could test drive before purchasing was a car. But now virtual reality gives all types of industries the ability to have customers test out their products without ever stepping into a brick and mortar store. The fact that customers can size up a product online without seeing it in person helps diffuse their hesitation about opening their wallets. 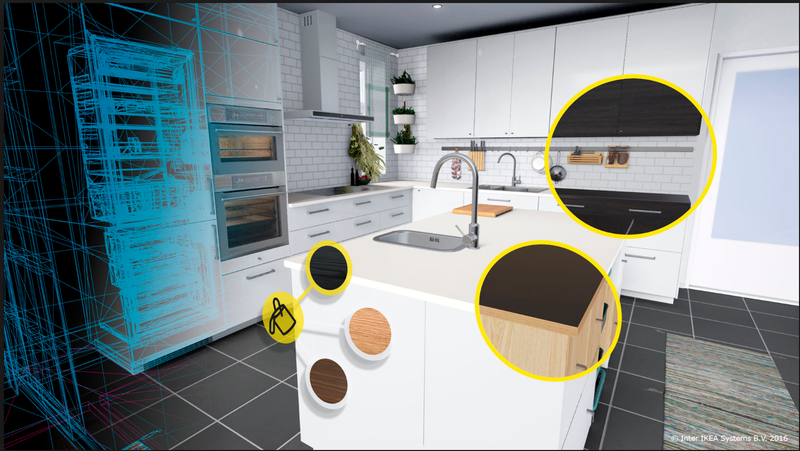 For example, Ikea offers customers the opportunity to “place” furniture in their home with its VR-based app. Customers can see what the furniture looks like with their own decor, making purchases more convenient. Companies can create more engaging content. Let’s face it: Viewers are a bit bored with traditional content, but with virtual reality, your business can create content that is more engaging than ever. User engagement is one of the most important factors of content marketing: You need users to engage with your content instead of taking a quick glance and moving along. The more engaged customers are, the more likely they’ll be to take your desired action. Virtual reality allows you to give your target audience interactive experiences that are super-appealing and help them connect with your brand. The North Face, an American outdoor product company, gives its customers a chance to climb the Himalayas in Nepal by way of virtual reality. Instead of just watching a video, they can virtually experience and interact with the virtual expedition and “test out” North Face products. Their target audience is obviously interested in the outdoors, camping and climbing, so what better way to engage them than by letting them experience the expedition of their dreams? Companies can grow emotional connections. People buy from companies they have an emotional connection to, and virtual reality lets those companies tell stories that customers can really connect to. A study from Customer Thermometer showed that customers love companies that care. When people were asked what they emotionally connected with in a brand, the top five answers mentioned caring; in particular, 55 percent said they valued the fact that the company made a positive difference in the world. Toms Shoes is just such a company; for every pair of shoes sold, the company gives a pair to a child in need. The company also has year-long “giving trips,” where employees and partners of the company can give children their brand new shoes in person and see first-hand how Toms is improving health and education programs in more than 70 different countries. Using virtual reality, customers can share that experience and be more connected to the cause than ever. With the rise in popularity of virtual reality, your company may soon be able to join this trend. You’ll be able to create insanely real experiences for your customers to enjoy and have a whole new way to tell your brand’s story and drive sales.